Michael Kende is a Senior Fellow at the Internet Society. Many thanks to Dawit Bekele for his leadership and vision, and to Sally Wentworth, Konstantinos Komaitis, Jane Coffin, Michuki Mwangi, Verengai Mabika, and Ayden Férdeline for input and advice. Many thanks also to the steering committee of Eng. Martin Obuya, Stephen Ozoigbo, and Didier Nkurikiyimfura for their insights and expertise at every stage of this project, to Internet Society members Joel Okomoli and Thato Mfikwe for their observations, and also for the input from the participants of the Internet Society Africa Regional Internet Development Dialogue, held in Kigali, Rwanda on 8-9 May 2017. Finally, thanks to Daniela Pokorná for expert research assistance. The Internet is a critical enabler of economic growth and opportunity. Globally, in both developed and developing countries, applications and services powered by the Internet have accelerated economic growth and created jobs. Small businesses, in particular, have used the Internet to deliver economic growth to their local communities, harnessing it to overcome traditional barriers such as a lack of access to education or skills, and exporting their products and services to national and international markets. The benefits the Internet can deliver are clear and well documented. At low cost, and at scale, the Internet has empowered historically marginalized people, including those in regional environments and in conflict zones, with the ability to create and finance businesses, to collect payments, and to receive and disseminate knowledge. But this is just one piece of the puzzle. Internet-based companies currently represent a single digit percentage of the economy of most African countries. 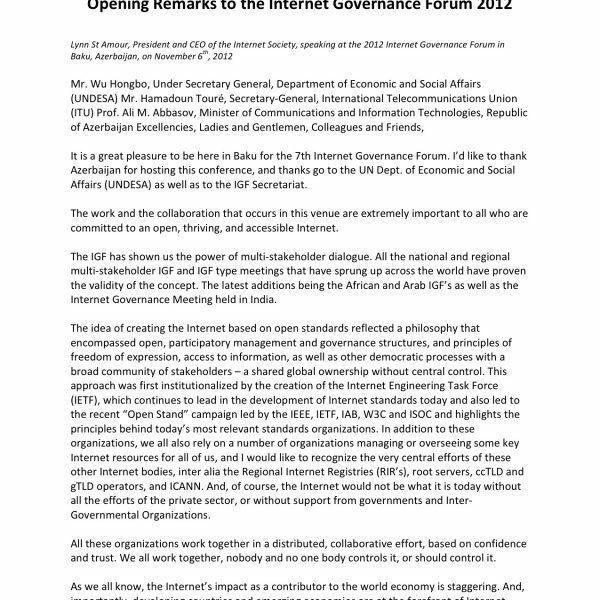 The Internet Society believes efforts should be made to bring the benefits of the Internet to the rest of the economy. A virtuous circle exists — greater demand for Internet-enabled content, applications, and services leads to greater demand from users for Internet access services, which leads to greater taxation generation, greater revenues for telecom operators, greater interest from investors in Africa, and, of course, greater usage of Internet applications and services. Businesses, across all sectors, can be more productive and efficient by harnessing new technology. At the same time, they gain access to a global marketplace of billions of people and millions of companies, and have the opportunity to attract international investment and join international supply chains. Citizens in both rural and urban areas benefit from enhanced educational and training opportunities, can raise money for their own innovations, and communicate more efficiently. They also have access to new job opportunities, both in their own country from local startups, and in the international job market working remotely for a foreign employer. The Internet economy presents a major opportunity for Africa. In this report, the Internet Society highlights how greater usage of the Internet, and digitization of the traditional economy, amplifies economic growth. We look at what needs to be done in Africa to develop such an Internet economy, noting both local successes and broader challenges that need to be overcome for the full benefits of the Internet economy to be realized. We conclude with a series of evidenceinformed recommendations for policymakers in Africa. The Internet Society promotes the open development, evolution, and use of the Internet for the benefit of all people throughout the world. In this report, we examine Internet adoption and usage by companies and governments throughout Africa. 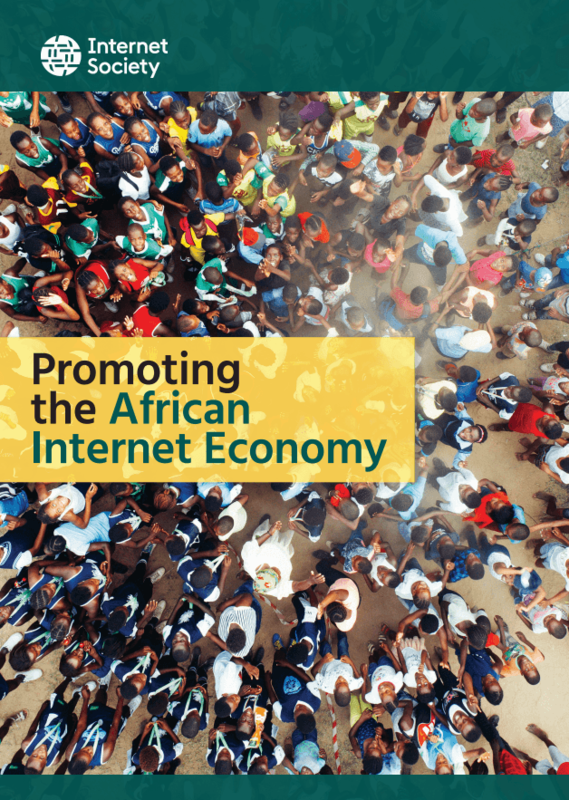 We seek to identify the progress made, and the roadblocks still to be overcome, to create a true Internet economy which delivers innovative new services, job opportunities, and increased incomes across the continent for the benefit of all Africans. This evolution in our work is driven by two recent developments. Firstly, Internet access infrastructure is no longer the roadblock to Internet adoption that it once was. While it is not available to everyone, and not affordable to all people, in many countries mobile broadband is now available to a far higher proportion of the population than are using it.5 This is because of the near ubiquitous coverage of mobile cellular networks for voice, which can be relatively cheaply updated to offer mobile Internet services. INTERNET SECTOR Companies that exist only because of the Internet and which add significantly to GDP. These include Internet Service Providers (ISPs), content producers and providers, and social media platforms. INTERNET ECONOMY An economy and society where Internet-connected networks, applications, and services are fully embedded in all economic and social activities. PLATFORM A foundation through which different networks can interconnect, and different applications and services can interoperate. SHARE OF GDP: Research by the McKinsey Global Institute reveals that the Internet sector makes up an average of 3.7% of GDP in developed economies.9 Even in the United States, with its large global Internet companies, the sector was just 3.8% of GDP in 2012. 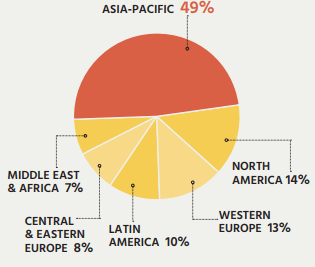 It is even less in aspiring and emerging economies, with the Internet contributing just 1.9% to GDP in 2012. In Africa, the Internet contributes just 1.1% to GDP. According to the World Bank, the Internet sector makes up 3 to 5% of the workforce in OECD countries, but only 1% in developing countries. Thus, a focus on developing the Internet sector, while critical for development, will have a beneficial, but ultimately limited impact on the size of the economy, in and of itself. SHARE OF GDP GROWTHECONOMIC GROWTH: The Internet can have a strong impact on economic growth, and makes up 0.4% of annual GDP growth in developed regions, and 1.3% in developing regions. This growth comes from the impact of the Internet on the rest of the economy. Where it has been studied, 75% of the impact of the Internet on growth comes from traditional industries, showing the benefits the Internet can deliver for the entire economy. It has been further shown that a 10% increase in Internet use can increase international trade by 0.4-0.6%. POTENTIAL ANNUAL PRODUCTIVITY GAINS IN 2025 IN AFRICA CREATED BY THE INTERNETPRODUCTIVITY. The McKinsey Global Institute predicts that in addition to its contributions to GDP, the Internet will deliver productivity gains across Africa. With the right inroads made, these productivity gains across six key sectors are projected to be valued between $148 billion and $318 billion by 2025. For the healthcare sector, nurses will save 0.5 to 1.0 hour per day. In agriculture, there is likely to be a 10 to 20% increase in production. In the financial services sector, each full-time equivalent employee will annually generate $65,000 more productivity. For African governments, there is a projected cost saving of 60 to 75% on administrative tasks. Productivity gains above are measured in billions of dollars. relevant consumer content can also come from government, educational institutions, and other users in a community — directly through messages, or through online platforms such as Facebook and YouTube. Consumer content is clearly critical to bringing new users online, and increasing the usage of the Internet by those already online. Nevertheless, the Internet economy is much broader than consumer content. The business-to-business (B2B) market is typically much larger than the B2C market, and similarly, e-government services extend beyond consumers. 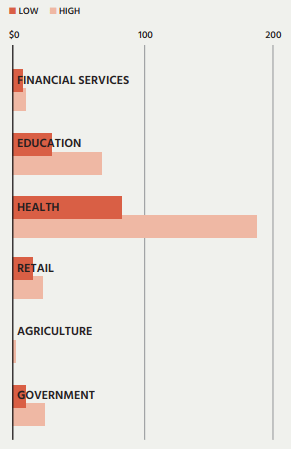 More broadly, however, traditional industries benefit significantly from Internet access. It can result in the opening of new markets and better information exchange. Consumers can benefit from access to more services and job opportunities, while governments can more efficiently engage with their citizens. There is significant room for the Internet sector to grow in Africa. The Internet’s contribution to GDP in Africa is low relative to other developed and emerging economies, but if the Internet begins to match or exceed the levels seen in other countries, the impact on the continent’s economic and social development could be immense. As it stands today, there are already signs of growth of the Internet economy in some African nations—but there is great disparity across and within countries on the continent. Developing a full Internet economy requires bringing both large and small businesses online, along with governments and other social services. This first requires a healthy Internet sector — widespread, if not ubiquitous, Internet access that is affordable, reliable, and of sufficient bandwidth. In particular, there are a number of sectors where the Internet can have a substantial impact and where it might make sense to initially focus efforts. The McKinsey Global Institute identified six industries in Africa — agriculture, education, financial services, government, health, and retail — as best positioned to benefit from the Internet in the immediate future because of the size of the population that could benefit from innovations in their respective field. For these industries to capture the full benefits that the Internet can deliver, they are dependent upon high-speed broadband, increases in device penetration, and, in some cases, having a means of online fulfillment. A key facilitator to the development of an Internet economy, for existing industries and new players, are Internet platforms. These platforms can be businesses in their own right, however their significance is in enabling the emergence of new services and applications. One example of an enabling platform is the M-Pesa mobile money service, which launched in Kenya and is now active in seven African countries. M-Pesa helps other companies develop new online services by providing a convenient means to make and receive payments. This may be particularly important for non-Internet businesses, such as retailers, who can adopt the existing platform and thereby focus on developing their own services. Such platforms, if successful, can evolve into entire ecosystems, as is the case with M-Pesa. While difficult to quantify the Internet economy in Africa is growing. Overall, Internet access and device ownership is growing in Africa, with more and more people coming online as a result of mobile broadband. We are also seeing the emergence of innovative platforms, which in turn are helping new services and applications to develop. This section highlights these emerging trends, before turning to the significant challenges of developing an Internet economy across Africa. Internet penetration and usage varies widely across Africa, with urban areas generally having higher Internet penetration rates than rural areas do. As of 2017, 388 million of the continent’s 1.25 billion people are online, with 160 million holding Facebook accounts. 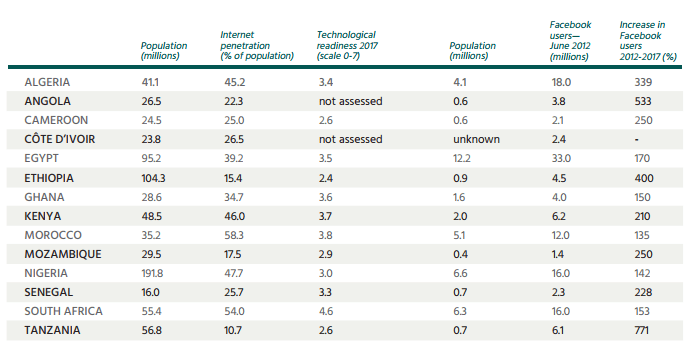 In the table below, we chart the progress that the 14 largest economies in Africa are making at getting people online. We see that there remains a great deal of the population unconnected — which means that as penetration increases, so too do the benefits that the Internet can bring. We also observe that all African countries score low on the technological readiness pillar of the World Bank’s Global Competitiveness Report 2017. This is a measurement of the agility with which traditional industries adopt new technology. As we identified previously that 75% of the impact of the Internet on growth comes from traditional industries leveraging the Internet to increase their efficiency and competitiveness, these scores suggest that more work needs to be done. 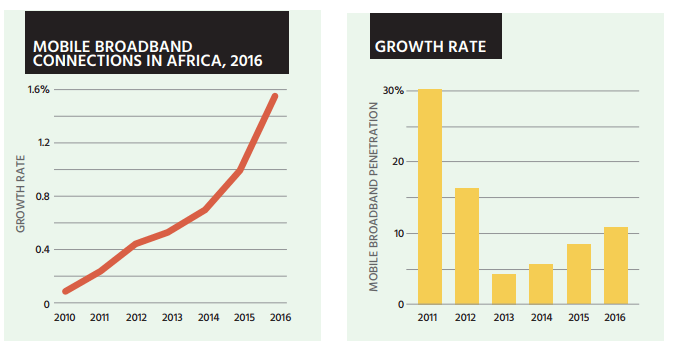 The figure below depicts the increase in the continent’s mobile broadband subscribers. This is an important metric, because most Internet users in Africa depend on mobile broadband in order to access the Internet. Availability exceeds subscribers, with almost 60% of the population living in range of a 3G or 4G mobile broadband signal. Furthermore, 2G mobile cellular signals cover almost 90% of the population, and these networks can be relatively easily updated to offer mobile broadband. This level of Internet access represents significant progress, supporting the growth of the Internet economy. 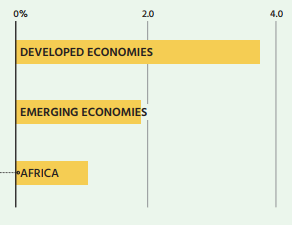 These 14 countries together comprise 90% of Africa’s GDP. Population numbers are based on mid-2017 estimates from the United Nations Population Division. Internet penetration rates (except for Cameroon, Kenya, and Nigeria) are from the International Telecommunication Union’s World ICT Indicators database, accessed October 2017. Cameroon penetration rate from Internet World Stats; Kenya penetration rate from Freedom House’s Freedom on the Net 2016 report, Nigeria penetration rates sourced from the national regulator. Technological readiness score from the World Economic Forum’s Global Competitiveness Report 2017. Facebook users are those who logged into their account at least once in the 30 days preceding the measurement, as reported by Facebook to Internet World Stats. However, as noted in a 2016 study commissioned by the Internet Society10, content infrastructure in Africa requires significant development. This infrastructure includes data centers to house routers and servers, and hosting providers to host the content, along with Content Delivery Networks (CDNs) that use data centers to distribute their customers’ content to Internet Service Providers (ISPs). In the meantime, there is a notable difference between access infrastructure and content infrastructure. While access infrastructure — such as mobile broadband networks — must be built in the country to enable access, content can be accessed from overseas data centers, notably in Europe or North America. While this is not ideal, it does provide for access to the infrastructure needed to develop the Internet economy in Africa, as demand for regional content infrastructure grows and starts to be fulfilled. However, content and services that are hosted locally are quicker and cheaper to download, because they do not have to pass through often congested and costly international connections.11 Ultimately, it is clear that local content infrastructure must be developed in order to support a robust Internet economy across Africa. Finally, online platforms are emerging to help facilitate the provision of online services; we focus on several platforms that help e-commerce companies. Here we examine examples of each of these types of platforms — in the next sections we look at the services that are emerging, many of which leverage on these or similar platforms. It should be noted that until very recently, M-Pesa was not an Internet service. In 2015, Vodafone introduced M-Pesa capabilities into the dedicated app M-Pesa Wallet in some markets, enabling Android and iOS users to use M-Pesa from their smartphones.14 But it was not until March 2017 that M-Pesa was integrated into the apps of local Vodafone subsidiaries, such as the more popular mySafaricom app. Prior to this, M-Pesa was only available using text-like messages applicable with feature phones, given the slow penetration of smartphone and slower connectivity. With the new app, Internet-based features have been added — now the app makes it easier for senders to search and confirm the identity of the recipient of the payment before sending money. As more users in Kenya and elsewhere in Africa move to smartphones, we expect more M-Pesa usage to migrate to the Internet-connected apps.It should be noted that until very recently, M-Pesa was not an Internet service. In 2015, Vodafone introduced M-Pesa capabilities into the dedicated app M-Pesa Wallet in some markets, enabling Android and iOS users to use M-Pesa from their smartphones.14 But it was not until March 2017 that M-Pesa was integrated into the apps of local Vodafone subsidiaries, such as the more popular mySafaricom app. Another company has developed KopoKopo, a mobile app that enables merchant payments, allowing small businesses to accept payments from M-Pesa accounts. Another innovation is M-Kopa Solar, which allows people to buy solar panels with installments paid through M-Pesa. These, in turn, can help solve the challenge of charging devices in areas where there is not yet an electrical grid. An entire entrepreneurial ecosystem is emerging across Africa.24 This includes critical access to funding, which ranges from early stage funding, including the Savannah Fund, through to seed funding, and to later stage funding from companies including East Africa Capital Partners. More broadly, support for entrepreneurs comes from the funding platform Venture Capital for Africa (VC4A), the African Technology Foundation which provides entrepreneurs with tools and international connections, the showcase for innovative startups DEMO Africa, and Mara Mentor which links women and young entrepreneurs with experienced mentors. Employment platforms: Local platforms are emerging to help match employees with employers for both full time and freelance work. 1task1job is a freelancing platform in Cameroon, which allows Cameroonians living abroad to hire workers in Cameroon to complete tasks. Jobberman, a large platform in Nigeria, was started by three university students, and describes itself as a leading provider of viable solutions to unemployment. It has become the top choice for both jobseekers and job providers. HyperionDev is an online coding bootcamp that offers “microdegrees” with mentor support and job interview preparation, with a view to matching students with entry-level software development jobs in South Africa.Foundation which provides entrepreneurs with tools and international connections, the showcase for innovative startups DEMO Africa, and Mara Mentor which links women and young entrepreneurs with experienced mentors. ICT platforms: Another set of platforms are emerging to help deliver and monetize content throughout Africa. At the content level, KOOBA, in Kenya, is a new carrier-neutral data center in East Africa, joining ones in Nigeria and South Africa to host and deliver content locally, with savings in latency and cost. Angani and a few other companies are early regional Content Delivery Networks (CDNs), managing the distribution of content. To help provide and monetize content, the MTN Group offers the MTNPlay app store in 22 countries where it offers mobile services. Instabug in Egypt manages bug bounty programs for 26 of the Fortune 100. If you identify a new bug or vulnerability in a major app or website, you notify Instabug, who upon verifying it, pays a reward and has the vulnerability patched. Finally, mi-Fone is a mobile device developer and manufacturer based in Mauritius. Emerging platforms: A set of platforms are emerging to support e-commerce companies. In Nigeria, for instance, Africa Courier Express provides logistics to deliver goods from retailers to customers. CowTribe connects Ghanaians with an on-demand veterinary service that allows farmers to get help for sick cows, sheep, and goats through an app. Kenya’s Flare calls itself “Uber for ambulances and emergency care” — an app that aggregates privately owned ambulance companies into an interface for patients and hospitals when crisis strikes. Okhtub, based in Egypt, is a matchmaking platform that provides life partner recommendations and marriage counseling services, designed to be accepted by local cultures. BuyPower allows Nigerian consumers to purchase small units of electricity through an app, rather than having to queue at a kiosk. Kangpe, based in Nigeria, connects patients with doctors, allowing them to obtain medical advice through webcam. Finally, AdsBrook in Ghana is an African-focused digital advertising network to pair advertisers with relevant websites and mobile apps. Fin-tech Platforms: Aella based in Nigeria, aims to bring faster access to loans to the 435 million Africans with limited credit resources. Its algorithm for identifying creditworthy borrowers has attracted significant interest from financial institutions in the US and Europe. In the fintech community, this is a very hot startup. Asaak, based in Uganda, seeks to expand access to financial services and insurance in East Africa for those with little access to capital. Borrowers who have repaid multiple micro-loans are able to step in as guarantors to new users, potentially earning a share of the interest from these loans as they are repaid (though their own capital is at risk). These new platforms and the ecosystems that have emerged, along with the entrepreneurial energy that has propelled them, support a number of new and innovative services that point the way towards the development of an Internet economy. These are largely websites and mobile apps that sit on top of the Internet and enable organizations to increase their efficiency and the reach of their operations. B2C services A number of B2C services have emerged in Africa, serving local needs. These include entertainment, commerce, and sharing apps. We highlight a few here that have been rewarded with funding and growth. OMG Digital (Ghana) is a hyper-local media content publisher aimed at African millennials. It covers three countries (Ghana, Kenya, and Nigeria), delivering pop culture, entertainment, and lifestyle news to 4.5 million unique visitors per month. It has plans to expand its coverage and readership into the South African, Zambian, Ugandan, and Tanzanian markets over the coming year. OMG Digital is the only media start-up to have been funded by the platinum-tier Silicon Valley accelerator Y-Combinator, aside from the magazine The Atlantic. Such B2B online services bring the efficiency and reach of the Internet to more traditional enterprises that make up a large part of every country’s economy. However, not all companies are online, and not all online companies are ready to fully capitalize on these services, an issue we address further below. E-Agriculture As a case study, e-agriculture provides an interesting intersection between one of the oldest human activities and one of the newest. The benefits include providing information about inputs such as seeds and pesticides, helping to increase productivity, and providing more information about markets to help farmers to negotiate the best prices for their output. Given the unique local nature of agricultural markets, local developers are likely best placed to identify and fill these needs. THE EMERGING TREND IN KENYA has shown that well educated and skillful youth are turning to agriculture to earn a living. They target niche markets to start ventures where produce moves quickly. The majority of youthful farmers own modern phones and spend considerable time on the Internet, reading about the animals they keep or the crops they grow, following market and farming trends. These digital youth advertise their products through Facebook by posting product photographs, indicating their offer price and giving the location. Product demand calls immediately start coming in. Agriculture is one of the most important sectors for Africa, employing 70% of workers and generating 30% of GDP.45 The examples below highlight how local people are often best able to address local needs in this vital sector. The platform itself was developed by a private company, Rwanda Online Platform Limited, in a publicprivate partnership. In order to facilitate domestic payments, the government has partnered with the local mobile payments provider Tigo Cash, provided by the Tigo Rwanda mobile operator. To ensure access for all, the Rwanda Telecentre Network is training the telecenter managers with skills to enable citizens to access the Irembo platform. E-government services are important for a number of reasons. They help deliver services, and they promote demand in vital ways. Firstly, e-government services provide a reason for citizens to go online, and thereby experiencing first-hand the benefits that the Internet can deliver. Secondly, e-government services can create demand for Internet infrastructure and services that promote the growth of the local Internet sector, which can then extend to service other businesses. Social services Finally, innovative new services are emerging to provide social services, which meet the needs of citizens and often complement government services in areas such as education, transportation, and health care. These and many other organizations are helping to deliver vital social services, leveraging the power of the Internet to help improve the lives of millions across Africa. 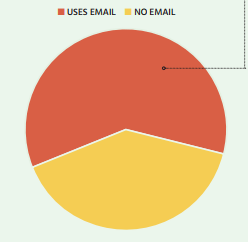 BUSINESS USE OF EMAIL. Research from the World Bank reveals that just over 60 percent of surveyed companies in sub-Saharan Africa use email to interact with clients or suppliers. This is fairly high, but below the global average of 72%. BUSINESSES WITH WEBSITES. The World Bank queried businesses as to whether they have a website. 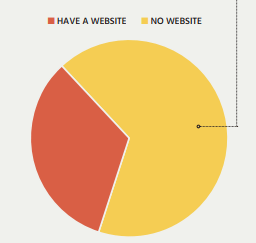 More than two-thirds of companies in sub-Saharan Africa do not have a website. The progress of the Internet economy in Africa is difficult to measure, relying mainly on anecdotal evidence of the emergence and impact of services. While the examples highlighted above are impressive, they should not be taken to indicate that all the pieces are in place for a transformation of economies in Africa; rather, they should be taken as an indication of what can happen when the appropriate inputs become available. While Internet availability and access has been growing across Africa, connectivity is by no means universal. The ITU World Telecommunication/ICT Indicators 2017 reveal that an average of only 21.8% of individuals are online in Africa. This leaves significant work to be done to bring more people online. Furthermore, the advances in adoption are quite uneven, ranging from as low as 1.1% in Eritrea and 1.8% in Somalia, through to 55% in Morocco, 47% in the Seychelles, and 41% in South Africa.66 Efforts to close this digital divide must be sustained in order to provide opportunity for all individuals and businesses to participate in the Internet economy. Content infrastructure lags further behind in Africa.67 There are data centers emerging, a growing number of IXPs to exchange local traffic, along with international content providers and CDNs beginning to install nodes in Africa. However, most content, even local websites, are hosted and being delivered from Europe or the United States. As a result, upwards of 90% of traffic for African countries is international traffic rather than locally sourced. Further compounding this content gap is a gap in available data, making it difficult to fully understand trends in content hosting and international traffic other than with anecdotal data. Sub-Saharan Africa is leading the world in the adoption of mobile money and payments. According to research from the GSMA, 140 out of 277 mobile money services are in that region, along with over 60% of active mobile money accounts, of which there were almost 120 million. While the progress of these platforms is uneven, it nevertheless provides a significant foundation for growth, as we have seen with the ecosystem building around M-Pesa in Kenya, and the new innovative companies emerging across several countries around Africa. The benefits of the underlying platforms must be recognized and nourished in order to propel the entire sector. E-COMMERCE. The level of retail (B2C) e-commerce in Africa is very low. Even including the Middle East, the region’s share of global e-commerce was less than 1% in 2015. Data shows that the development of the Internet economy in Africa is in its early stages. This data highlights that there is still significant work to be done to create an Internet economy in Africa. Using email and having a website is an important first step for online engagement for a business, but it is only the first step towards entering the global Internet economy. Furthermore, in terms of e-commerce — an early indicator of online business — Africa is lagging behind other regions of the world. There are still significant roadblocks to be overcome before Africa can realize a full Internet economy. The Internet economy must sit on the foundation of a strong Internet sector, and can be facilitated with Internet platforms that help businesses and governments to go online. 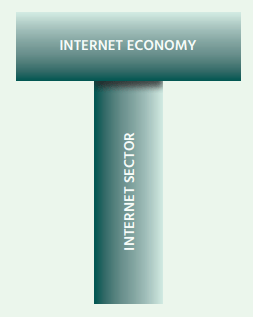 In this section, we focus on the roadblocks to a strong Internet economy. Most countries have mobile broadband availability far beyond adoption. While it is true that there are strong demand-side reasons for this, which will be addressed as the entire economy goes digital and provides locally relevant content and services, it is important that the Internet sector can accommodate this growth of adoption and usage. This involves ensuring adequate access and content infrastructure, and promoting the development of Internet companies offering such content and digital services. We examine these issues based on the following graph, showing availability and adoption in Rwanda. Gap 1 — Availability: Where there is mobile cellular coverage, but the infrastructure has not been upgraded to distribute mobile broadband.The availability of broadband is critical for both the application/ content provider and for their users. Particularly in the case of government services, it is important that all citizens universally have access to Internet services for maximum adoption, usage, and fairness in the provision of access to government offerings. Increased availability of broadband may involve upgrading 2G networks. The cost of doing this is much lower than the cost of deploying the original networks, and can largely be driven by increases in demand. 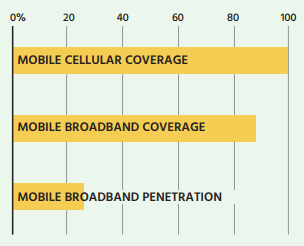 In some countries, there is a further gap in that the mobile cellular network does not cover all citizens. This gap does not exist in the case of Rwanda, but for Africa as a whole, the gap averages 11%. Building out the network to these uncovered areas is not typically economical, based on high deployment costs or low revenue potential, and will require turning to new solutions such as community networks, and direct government investments or partnerships. A final gap relates to the availability of electrical power, which is critical both for operators’ equipment to run the network, and for users to be able to charge their devices. A significant 76% of the population in sub-Saharan Africa lacks access to electricity.72 Energy poverty is an acknowledged hindrance to the growth of the Internet economy in Africa. If electrical power is not available, then diesel generators are required to run the equipment, which increases capital and operating expenses. If electrical power is available, but not reliable, generators are still required. For users who do not have direct access to power, they may need to pay to charge their devices at a kiosk, or require access to a solarpowered generator. This adds cost and barriers to accessing the Internet. Gap 2 — Adoption: Where there are potential users who have access to broadband, but have not yet chosen to adopt it. This is a demand-side issue that can be addressed by making access more affordable and attractive. The cost of business access may be even higher for several reasons. Firstly, businesses may need faster access than individuals. Secondly, they may generate more traffic, which increases the cost. Thirdly, businesses may need more than a smartphone to run their business. For instance, a computer with a larger monitor and keyboard to facilitate business tasks such as word processing or email exchange. Content and services. To increase demand, there needs to be new, locally relevant content and services. Content and services are relevant when they meet local demand, in local languages. This requires infrastructure to host the content, strong content policies to provide certainty about how online content is regulated (if at all), and policies to assist creatives who can develop this content. Local content infrastructure is important because hosting content locally makes the pages load faster, which, as shown in a recent Internet Society study in Rwanda, in turn leads to increased usage of the website.74 This becomes more and more important as organizations begin to conduct more business online, and host richer and more dynamic content, which can be used to maximize the engagement of their users. Skills need to be developed. A lack of knowledge as to how to use the Internet can be a significant barrier to its adoption. This is true for individuals, who need to know how to use their phone to access content and apps, and is likely also true for businesses, as employees may need additional skills and training to generate a meaningful return from their use of the Internet. Upskilling in areas such as website development, best practices in online buying or selling, and in analyzing users’ online behavior, is likely to be needed. Gap 3 — Usage: Quality access to the Internet is essential for the Internet to be used. In addition, new mobile technologies allow for greater capacity and download speeds. While progress has been made and the availability of 3G mobile broadband is spreading, the global movement has been towards faster, 4G networks. An increasing number of countries in Africa have 4G networks, but these tend to be in wealthier urban areas. This progress must be sustained and equitably dispersed to provide full benefits to all users. Businesses may have usage needs beyond those of individuals. Businesses would benefit from higher speeds than those currently available through mobile networks. In particular, fiber optic networks, which are not yet widespread in Africa, may be critical for their successful utilization of the Internet. Businesses may also be more dependent on reliable service (for instance, from the electricity grid), better cybersecurity, and access to cloud services that they can use to access or develop applications to help run their businesses. While access infrastructure is developing well in Africa, and content infrastructure is lacking in many countries, the foundation to support the Internet economy is being built. In the next section of this report we will address issues for the broader Internet economy that will help create demand for infrastructure in a virtuous circle of growth. To fully realize the benefits of the Internet and become a part of the global economy requires a fully digital domestic economy. This entails bringing online all citizens, all companies — both traditional ones and emerging, high-tech ones — as well as e-government services capable of efficiently delivering government services. In this report, we have detailed impressive successes across a variety of sectors. Based on these stories, we note there should be a focus on creating local platforms, upon which other services and even entire ecosystems can grow. Fostering innovation and entrepreneurship is one means of filling these gaps. In order to do so, there are a number of challenges impeding the development of an Internet economy in Africa. These challenges can broadly be grouped into three levels, as visualized in the figure on page 21. The base set of challenges are those that face any business in any sector. These must be addressed for all companies in a country. The second set of challenges are those impacting online companies, and relate both to the offering of an online service and the demand for the service. These could impact traditional companies as well as startups. 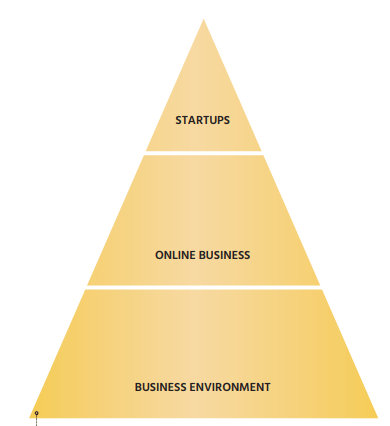 The final set, at the top of the pyramid, are those challenges that impact online startups, which potentially represent a large source of innovation in the Internet economy. We will examine each layer in turn. Business Environment. General challenges to doing business have been widely noted and studied. For instance, the World Bank has a yearly index called Doing Business that ranks most countries based on a number of metrics. Some are not generally relevant here, such as the challenge of dealing with construction permits, while others are very relevant. These include paying taxes (including time and total tax rate), getting electricity (including the time to get connected to the grid, cost, and reliability), getting credit, and trading across borders (time and cost to export and import goods). At least one metric, starting a business, is geared specifically towards startups. CONTENT POLICY: Policies regarding applications, content, and services can have a significant impact on the availability of innovation and investment. Intermediary liability. Intermediary platforms that host content from others (such as Facebook and YouTube) cannot screen all content that is uploaded before it is made available to users to view. If they are made liable for all uploaded content, it raises their cost of doing business and risk of operating in particular markets, and would likely limit investment and the development of local or competing platforms. DATA POLICIES. Many online services gather personal information in order to deliver their services. The information collected can be financial, related to healthcare, reveal one’s location, gender, or ethnicity, or otherwise be sensitive. Policies with respect to privacy and security may have a significant impact on an online business. Law enforcement and security. There are legitimate law enforcement needs for access to information, and good rules can help a country balance a citizen’s rights to privacy with legal and national security concerns. The resulting surveillance regime can respect legitimate privacy expectations. MONETIZATION. Online businesses need a way to collect income for their services. Traditional companies that charge for their services or goods offline must be able to do so online. Traditional media, as well as other online companies, have found other sources of revenue including advertising. In many countries in Africa, the main sources of monetization still offer challenges. For websites, advertising is a common form of monetization as it enables the website to be available at no cost to the end-user. However, the largest ad platforms such as Google AdSense do not accept ads in any African languages aside from Arabic, English, French, and Portuguese.86 This reduces the potential to monetize new services, particularly domestically and within the region, and is a gap that local advertising channels cannot fully fill yet. SKILLS. Literacy is an important element for going online, and digital literacy skills are needed to make users comfortable once connected. Where surveys have been taken, many nonusers cite a lack of skills as a leading reason for not utilizing the Internet, while those online may use more services with more online training. At the same time, to create online services, providing access and content infrastructure, and other critical inputs also requires training, which will increase the competitiveness of these local services. Venture capital. 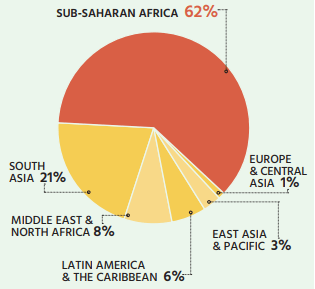 A traditional source of funding for startups is still largely lacking in Africa. According to one source, looking at a sample of startup investments across Africa, venture capital funding represents 3% of investments, just ahead of donations, while the main source is funding from the founder. This is a significant impediment as many wouldbe entrepreneurs do not necessarily have their own funds. The good news is that several Silicon Valley incubators are now actively searching for African companies to support, with both know-how and investment. Skills. Online entrepreneurs must combine both the technical skills necessary to turn an idea into an innovation, and the business skills necessary to turn the innovation into an income stream. These skills can be encompassed by an individual or a team, and are often aided by outside mentorship. The innovation hubs across Africa can be ideal meeting points to bring together the necessary inputs, however they are not necessarily scalable. Education, therefore, plays a big role in training would-be entrepreneurs. These roadblocks not only hinder the development of the Internet sector, but also the adoption of the Internet more broadly to develop the Internet economy. Our recommendations seek to develop both. Overall, our recommendations track the challenges identified in this report. Broadly speaking, policy should focus on continuing to grow the Internet sector, while also including steps to make the rest of the economy digital, including supporting critical Internet platforms. It is important to note top-down policy is vital to generate the enabling environment, but the Internet economy will develop, innovate, and thrive from the bottom up once the appropriate tools and frameworks are in place. Achieving this broad framework requires ‘T-shaped’ Internet policy. This is a metaphor the Internet Society has developed to advocate for targeted depth with overall breadth. The vertical bar on the T represents the depth in Internet sector policy that must be created. That is, in order to support the adoption and usage of the Internet, there must first be in place the necessary infrastructure, expertise, and capabilities. The horizontal bar is more interdisciplinary; it involves upskilling to create breadth across government to support bringing everyone online. After all, it is only when all people, businesses, and government agencies are using the Internet that the benefits can be fully realized. Developing the Internet sector has, at least within Africa, traditionally been seen as within the purview of the Ministry of Information and Communication Technology (ICT) or a telecommunications regulator, with the typical focus being on developing Internet access infrastructure. This has generally been successful, as Internet availability largely outpaces adoption in many countries. However, in order to develop the broader Internet economy, there will need to be a sustained push among all parts of government to develop the platforms Many of these actions will also help to bring the benefits of required. It can no longer be the job of the Ministry of ICT alone. Often countries focus their goals for the Internet sector on national broadband plans, or more broadly, on digital Many needed policies are self-reinforcing. Creating a development strategies that focus on developing content strong Internet sector in an economy requires a focus on and services as well as networks. These efforts can be sector access and content infrastructure. It requires fostering specific and benefit from the support from the highest levels a welcoming business environment for the companies of government.90 See the box below with details regarding in the sector, both offering access and services; and it Rwanda’s digital development strategy. Many of these actions will also help to bring the benefits of the Internet to the rest of the economy. By increasing access to the Internet across the economy, more companies will be willing to go online. However, as we already see today, it is not enough to have Internet access available, there must also be demand. That demand must come not just from individuals, but also from organizations, be they companies, governments, or non-profits. across the economy and develop new innovative companies in other sectors. Liberalization of the sector to promote competition. The conditions of liberalization are important, with licenses that offer flexibility, are reasonably priced, and have transparent conditions. Affordable taxation of mobile Internet devices and services, where they are not treated as luxury goods, and balance the need to increase usage while promoting the Internet economy. Removal of undue tariff and non-tariff barriers to importing the equipment needed to operate the networks, to lower the cost and uncertainty involved in deploying infrastructure. Accessible electricity, to enable companies to power their networks and users to power their devices. This can be achieved with a combination of sector reforms and new technologies. Spectrum policies that allow for sufficient allocations so that companies can use the spectrum in an efficient and flexible manner, at affordable costs. Policy should promote private investment in access networks. For instance, removing undue restrictions on foreign direct investment in telecom operators, while also engaging a country’s investment promotion agency to encourage investment in the digital economy. Where private investment is not likely, other approaches — including support for community networks or public investments — should be considered. These could potentially include public-private partnerships. Access to multiple backbone networks provides for redundancy and resilience for the data center, making it more attractive to customers and thereby presenting a better business case for investment. This can be achieved through the promotion of access networks, described above. Of course, countries already have an Internet sector which may not be fully developed, and this can and should form the basis for the Internet economy. Within government, the Ministry responsible for ICT and the telecommunications regulator play key roles in setting the enabling environment for developing the Internet sector, particularly in relation to access and content infrastructure. However, many other parts of government can impact the adoption and usage of the Internet and the ICT technologies needed to become an Internet economy. The result of these policies should be to create both the supply of Internet access, as well as the demand for Internet services across the economy. to support moves into new areas of the Internet economy. Cybersecurity laws and procedures that help to create trust and deter attacks. Education and digital skills training to ensure users can have meaningful online experiences. This can be provided through schools, at public Internet access points, and online by private or non-profit organizations. Skills training aimed at employees of traditional sectors so they can get online and join the Internet economy. Again, this can be provided by a wide variety of organizations, but should include government support for university courses and vocational training. Additional skills training so users can become developers of content and services, and have access to suitable business training as well as online training. As above, this can be achieved through universities, vocational training, and through online access to international training. As an example, Rwanda has made significant progress and consistently scored high on ICT indices such as the World Economic Forum’s Networked Readiness Index and A4AI’s Affordability Index. This is the result of a high-level, long-term, and concerted plan that began to form in 1998, as shown below. The Rwanda roadmap encompasses governance, infrastructure, services, and capacity building, and is flexible to adapt to progress and changes in technology. The results are evident in their increased usage and growth of the sector. The Rwandan Vision 2020 is a development plan to turn Rwanda into a middle-income country by the year 2020. The country’s goal is to become an ‘information-rich, knowledge-based’ economy. This vision starts at the top, from President Paul Kagame, dating back to the beginning of his administration which was seated in 2000. NICI I (2000-2005): The foundation was set in this phase with the enacting of ICT laws, liberalization of the telecom sector, the establishment of the Ministry of ICT, and the establishment of the Rwanda Utilities and Regulatory Agency. NICI II (2006-2010): The focus in this phase was on infrastructure, including a data center, Internet Exchange Point, and a fiber backbone to connect to neighboring countries with submarine cable access. NICI III (2011-2015): This phase focused on services, including e-government services and the Rwanda Online platform, skills development, increased private sector participation, and cyber security defense efforts. NICI IV (2016-2020): This phase will build on the previous phases, implementing a Smart Rwanda masterplan that involves capacity building, big data, Internet of Things, growth of a private sector that begins to export, and the development of creative industries. Many African countries have made significant progress toward creating an Internet sector, with broad sector reforms and focus on increasing broadband availability. There have been further successes within countries in developing online platforms, fostering the growth of companies to serve local demands, and increasing the incentive to go online. However, there is still much work to be done to strengthen the Internet sector and to create an Internet economy in Africa. Policy must focus on deepening the Internet sector, to ensure all users and organizations can go online, with good quality access that is affordable and supported by online skills training. This is a means, however, to the end of creating an Internet economy that rests on top of this sector. This involves a breadth of traditional and new businesses online, supported by online government services. This requires policy that is ‘T-shaped’, which provides depth of support for developing an Internet sector, and a breadth of support for bringing the rest of the economy online. Two areas of focus should be; online platforms that can support further online growth, ranging from mobile money services to online employment platforms; and supporting entrepreneurial efforts to allow innovative new companies to emerge. These platforms themselves can grow into entire ecosystems that propel broader economic growth. The result will be an Internet economy that offers B2C services online with new opportunities for all citizens, B2B services to make the economy more efficient, and e-government services for all that are inclusive and reach all citizens. This will enable growth and opportunities within the country, while also allowing all in the country to fully interact with the global digital economy, buying and selling goods, and providing services around the world. 1 See the Internet Society report “Lifting Barriers to Internet Development in Africa” (2013), https://www.internetsociety.org/resources/doc/2013/lifting-barriers-to-internet-development-in-africa-suggestions-for-improving-connectivity/. 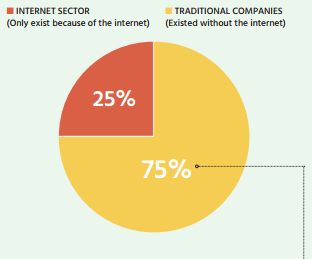 3 See the Internet Society report “Promoting Local Content Hosting to Develop the Internet Ecosystem” (2015), https://www.internetsociety.org/resources/doc/2015/promoting-local-content-hosting-to-develop-the-internet-ecosystem/. See also the Internet Society report “A Case Study in Local Content Hosting: Speed, Visits, and Cost of Access” (2017), https://www.internetsociety.org/resources/doc/2017/a-casestudy-in-local-content-hosting-speed-visits-and-cost-of-access/. 4 See the Internet Society report “Promoting Content in Africa” (2016), https://www.internetorg/resources/doc/2016/promoting-content-in-africa/. 5 For more information on the barriers to Internet adoption, where the availability of Internet services outpaces usage, see the Internet Society policy brief on Local Content, https:// internetsociety.org/policybriefs/localcontent. 6 For example, see the Internet Society article “Explaining the Digital Divide in Brazil” to understand why adoption of mobile Internet lags well behind availability in this Latin American country, https://www.internetsociety.org/blog/2015/09/explaining-the-digital-divide-in-brazil/ Similar numbers have been identified in Africa through research conducted by Research ICT Africa which has sought to understand the challenges that underlie digital inequality, http://researchictafrica.net/ict-access-and-use-surveys/. 7 For more on the benefits of local content, see research undertaken by the GSMA, https://www.gsma.com/mobilefordevelopment/wp-content/uploads/2016/02/Local-Content-Digital-Skills-and-International-Development.pdf, and the World Economic Forumhttp://www3.weforum.org/docs/WEF_Internet_for_All_Framework_Accelerating_Internet_Access_Adoption_report_2016.pdf. 9 See “Lions Go Digital: The Internet’s Transformative Potential in Africa”, https://www.mckinsey.com/industries/high-tech/our-insights/lions-go-digital-the-internets-transformative-potential-in-africa. 10 See the Internet Society report “Promoting Content in Africa” (2016), https://www.internetsociety.org/resources/doc/2016/promoting-content-in-africa. 12 For more on the history of M-Pesa, refer to the Vodafone website, http://www.vodafone.com/content/index/what/technology-blog/m-pesa-created.html. 16 For more details, see http://newentrepreneursfoundation.com/how-and-why-mobile-money-m-pesa-works-in-kenya/. 23 See the World Bank’s World Development Report 2016, p. 230. 24 For a view of the pace of developments, see http://africanotes.andyvolk.com/, a bi-weekly newsletter focused on the startup and technology ecosystem in Sub-Saharan Africa. 68 See http://www.gsma.com/mobilefordevelopment/programme/ecosystem-accelerator/things-learned-tech-hubs-africa-asia for more details. 70 Worldwide Retail Ecommerce Sales, as forecast by eMarketer in December 2015, extracted from http://www.emarketer.com/public_media/docs/eMarketer_eTailWest2016_Worldwide_ECommerce_Report.pdf. 71 For more on the challenges of land-locked countries, see fn 1. 74 See “The Benefits of Local Content Hosting: A Case Study”, Michael Kende and Bastiaan Quast, May 2017, at https://www.internetsociety.org/resources/doc/2017/a-case-study-in-local-content-hosting-speed-visits-and-cost-of-access/. 75 For an animated history of submarine cable capacity growth to Africa, see https://manypossibilities.net/african-undersea-cables-a-history/ To see the remaining challenges for terrestrial fibre capacity in Africa, see https://afterfibre.nsrc.org. 77 The Internet Society has published a technical assessment of the different methods of blocking Internet content, evaluating how well each method works and identifying the pitfalls and problems associated with each method. It is our conclusion, based on technical analyses, that Internet blocking is generally ineffective and causes collateral damage, https://www.internetsociety.org/resources/doc/2017/internet-content-blocking/. 78 The intentional disruption of the Internet has a direct and adverse impact on national economies, threatens human rights and public safety, and causes significant reputational damage to those public authorities which impose these disproportionate restrictions. To learn more about Internet shutdowns, see this resource page on the Internet Society website, https://www.internetsociety.org/lets-keep-internet-everyone/. 79 See a report by Deloitte on the economic impacts of disruptions to Internet connectivity, http://globalnetworkinitiative.org/sites/default/files/The-Economic-Impact-of-Disruptions-to-Internet-Connectivity-Deloitte.pdf. 82 See the Internet Society’s 2016 Global Internet Report for more on the economics of data breaches, https://www.internetsociety.org/globalinternetreport/2016/. 87 For a description of the cost of cash on delivery by one e-commerce provider in Nigeria, who decided to stop offering it as an option, read . 89 Internet Society recently released policy guidance for promoting an enabling environment for Internet access, Policy Framework for enabling Internet access. See also the A4AI Affordability Report 2017, the World Economic Forum Internet for All reports, GSMA mobile for development reports, Facebook State of Connectivity, and Broadband Commission reports, among others. 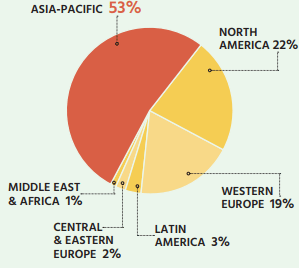 90 For more details on national broadband plans see section 3 of The State of Broadband 2016: Broadband catalyzing sustainable development, Broadband Commission for Sustainable Development, 2016, https://www.itu.int/dms_pub/itu-s/opb/pol/S-POL-BROADBAND.17-2016-PDF-E.pdf. 91 These are all significant and complicated issues in their own right. For further details, see Doing Business 2017: Equal Opportunity for All, The World Bank, 2017, http://www.doingbusiness.org/reports/global-reports/doing-business-2017.